"You could paint with a toothbrush," someone once said. It was a compliment, not a suggestion. They were commenting on my ability to adapt to the tools that I had in front of me. 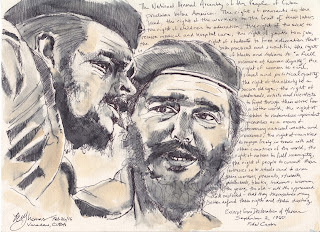 I think it might have been in reference to the time in Cuba when I started using coffee as a way of adding texture and colour to the drawings that I was doing, like the one above of Che and Fidel. 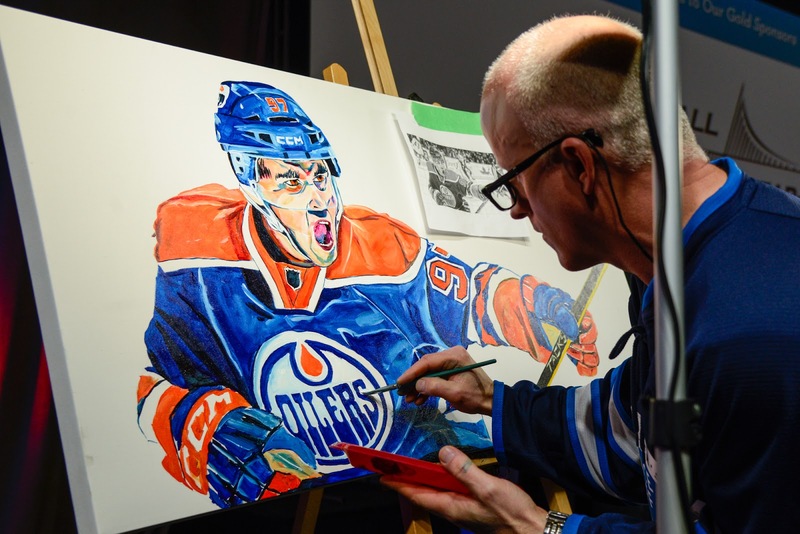 I adapt every time I do a live painting. Each room, each situation offers its own challenges that have to be overcome: time, humidity, light, etc. No situation offers the same set of circumstances that I have become comfortable with in Birdsong Studio. In Cambodia, I had to figure things out using unfamiliar paint, primitive canvas, and no easel. I used a discarded wall from Mern's old shelter to prop up the canvas. My pallet was a old piece of mahogany board that I found in the field. 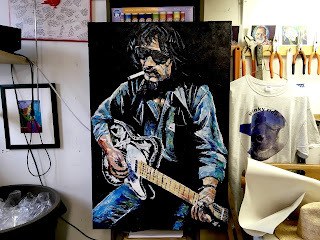 Jumping in and doing the knife painting of Waylon Jennings found me needing to adapt in my own space. At first, I had no idea how to use the tools. I just kept at it, learning what angle was best to apply the paint in broad strokes or to paint a line or curve. Paint was everywhere, including my head, as Heather pointed out to me when I came in the house. I do my best to photograph my paintings so that when you see them on your computer screen you get a fair representation of them. 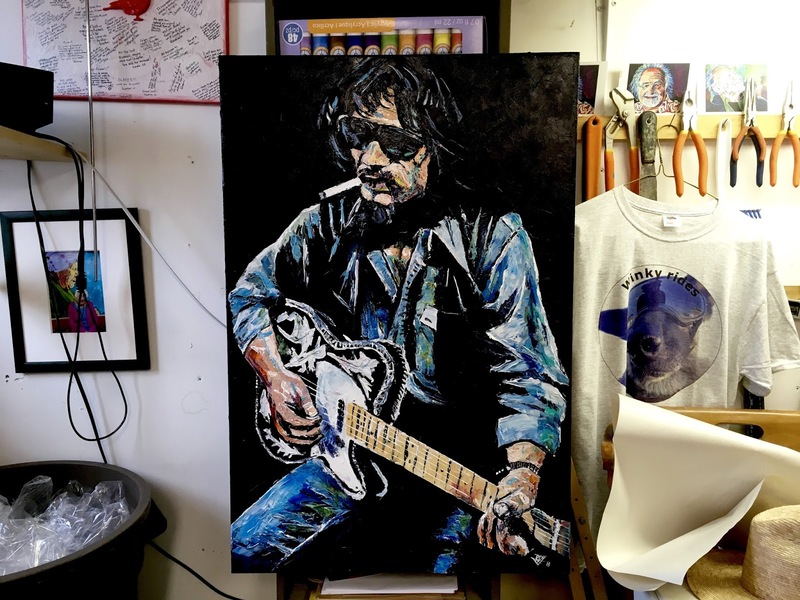 This 24" x 36" commission portrait of Waylon is an example of when a photograph just doesn't do it justice. 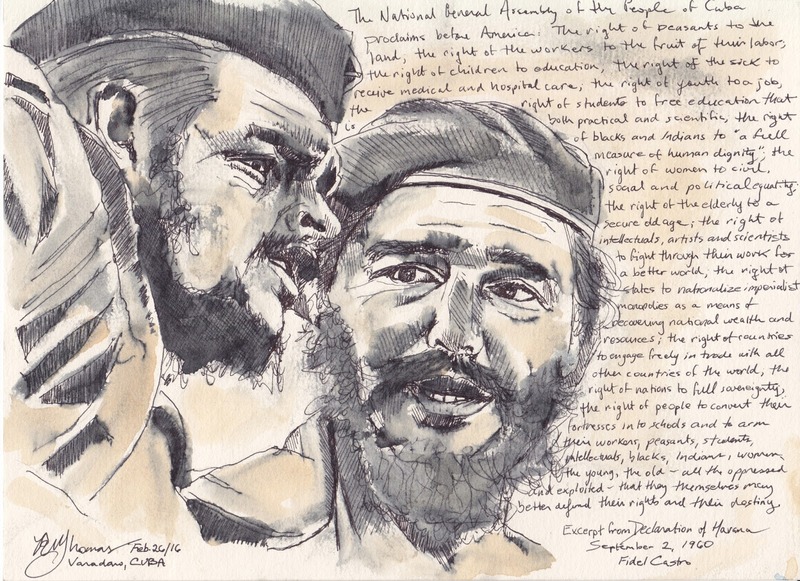 It needs to be seen in person, hanging on a wall, illuminated by a feature light.